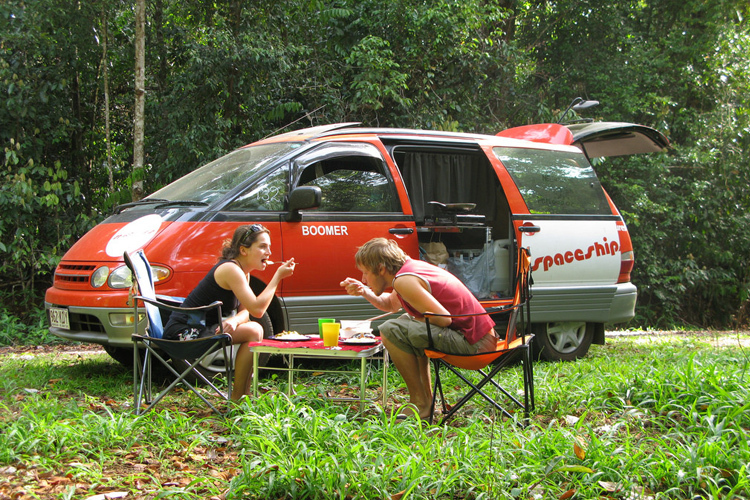 Simple, but totally affordable, the Lucky Roamer 4-Seater Campervan is the perfect home on wheels for backpackers and travellers on a tight budget. 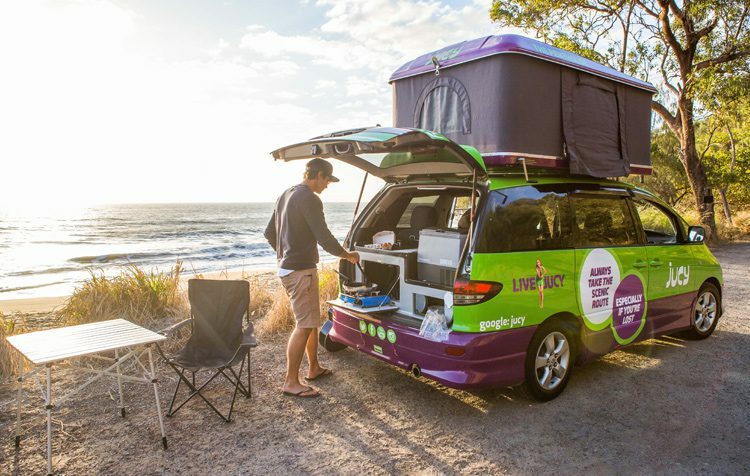 Comfortably sleeps 2 Adults and comes complete with everything you need on your Aussie roadtrip – 15L Fridge/Freezer, Double Bed and Smart 12V Battery System. 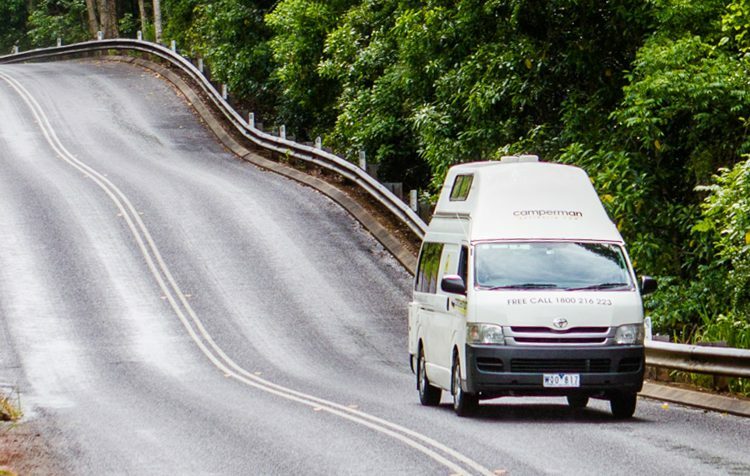 Older, budget campervans complete with everything you need on your Aussie roadtrip – 15L Fridge/Freezer, Double Bed and Smart 12V Battery System. This budget 5-Seater camper has a double bed and a single bed. A 2-person tent and camping gear is also provided. 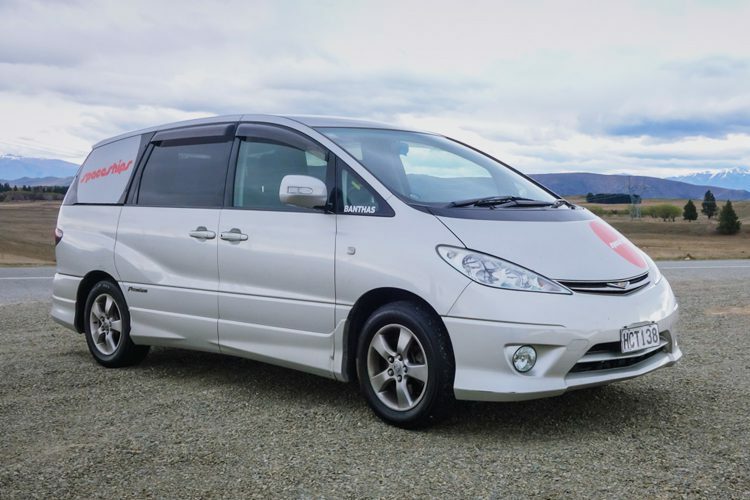 The Paradise Family 5 person campervan is a reliable and spacious 2008 – 2012 Toyota Hightop. The dinette converts to a double bed and there’s a double bed in the loft, which the kids will love. 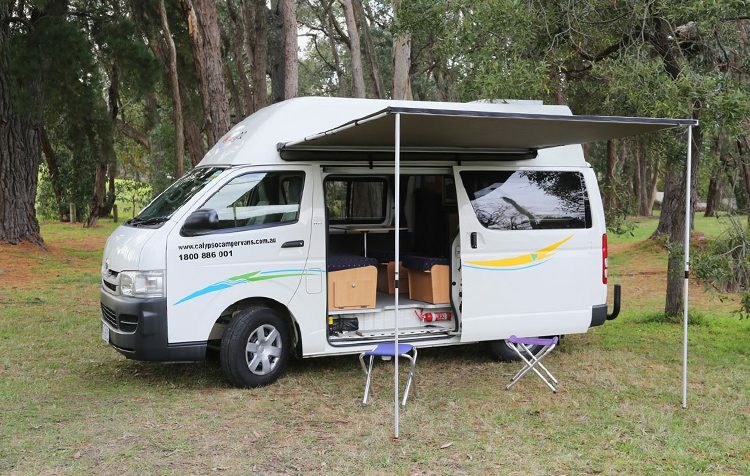 This camper comfortably seats & sleeps up to 4 Adults and includes everything you need on the road, including fridge/freezer, microwave, gas stove, kettle, toaster and bedding. 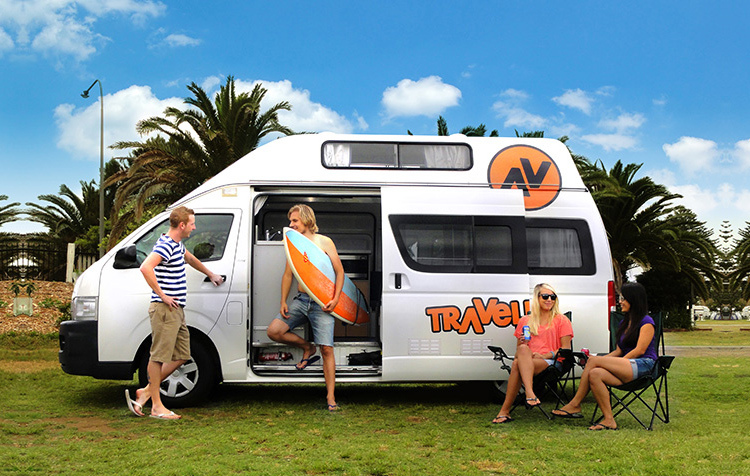 Travellers Autobarn Hi5 is the biggest campervan model in their range and comes complete with microwave, 2 x Double Beds, large fridge, sink and gas stove. 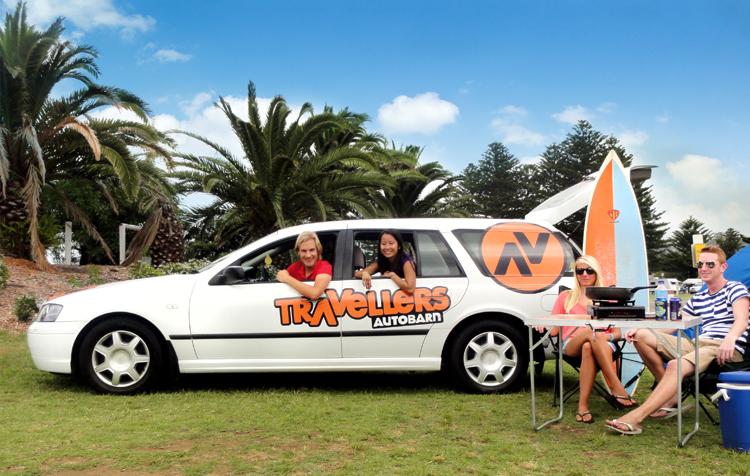 An ideal way for small groups to travel Australia. The Condo is fully self contained with a cassette toilet & grey water tank. All that and it even sleeps four! Trust us when we say this vehicle is truly awesome! 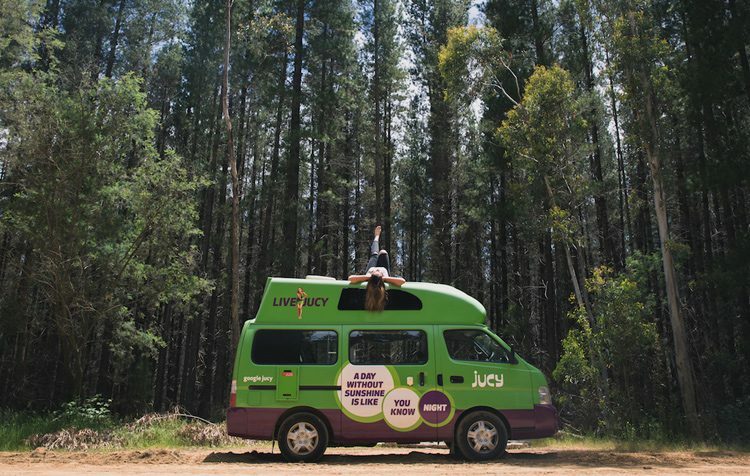 For an epic road trip of champions, the JUCY Champ has all you need – including a gas cooker, the kitchen sink, and a fridge. There’s plenty of room for four to sleep and ride. 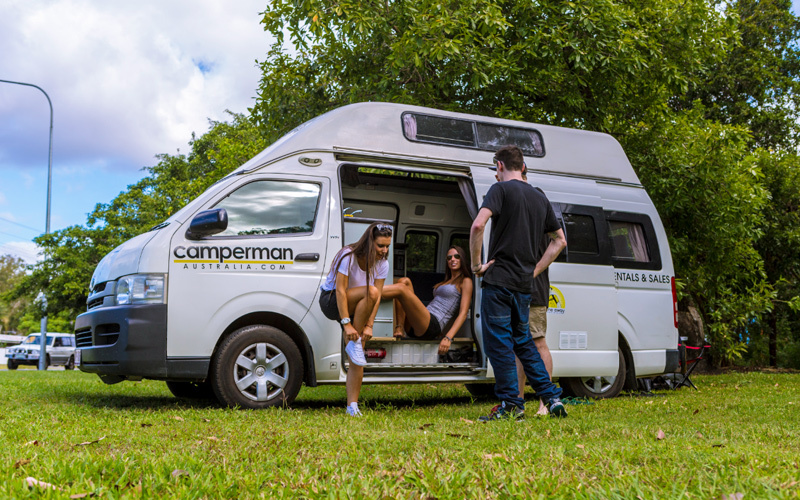 With a larger fridge, complete cooking facilities and loads of space to move around, the Camperman Paradise Family 5-Seater with Shower & Toilet is made for epic roadtrips off the grid. 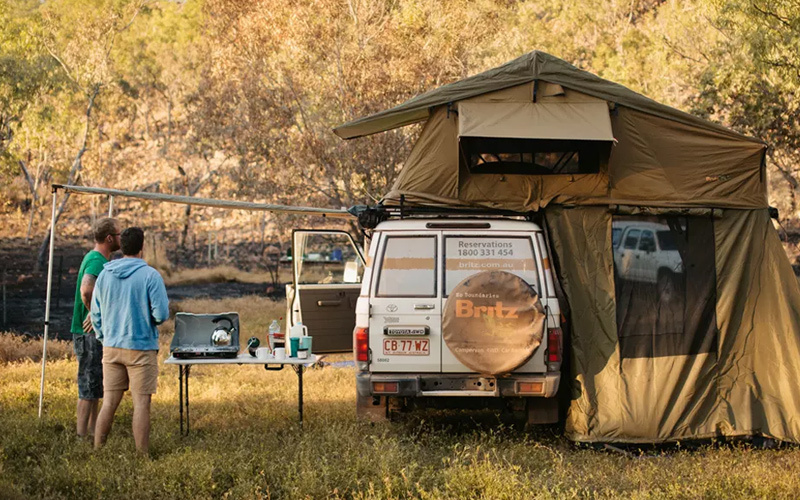 Complete with the highest-quality rooftop tent, annex and sleeping mats, you can rest assured that when you hire this Britz 4WD Camper, you’ll have the best Aussie roadtrip experience. 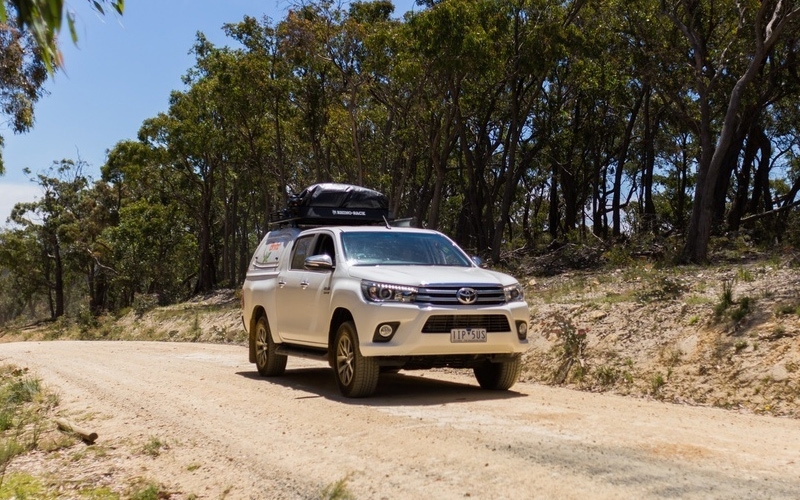 An ultra-modern 4WD rental vehicle, fully-equipped with a high-quality free-standing tent suitable for real adventurers looking to get the most out of their Australian offroad 4×4 holiday. 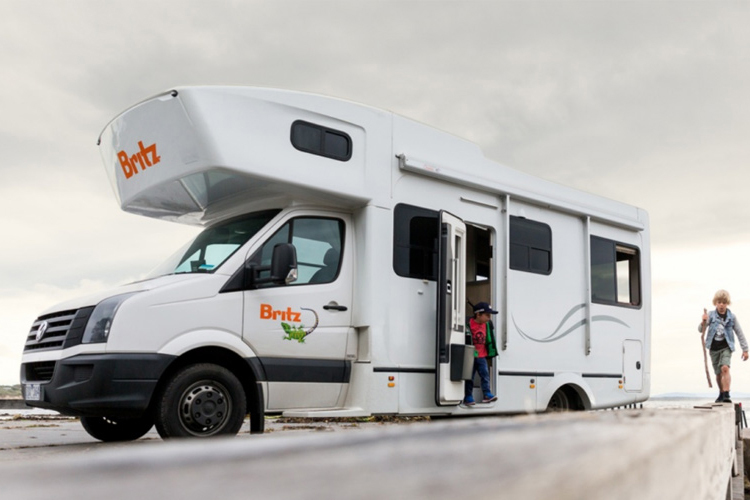 The Britz Frontier Motorhome is the perfect home-away-from-home for groups or families of up to 6 Adults. With massive windows in a spacious living area, you can wake up to an awesome new view every morning! 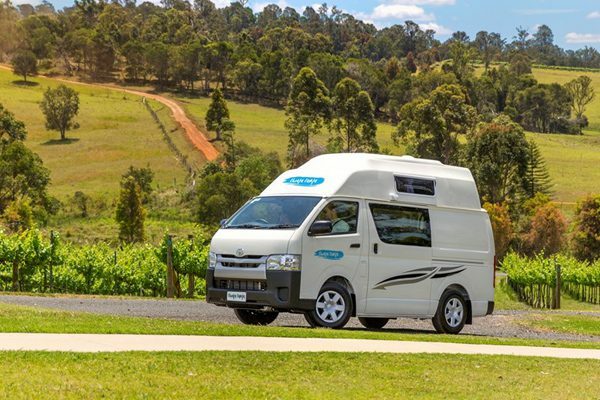 From leather seats to a Colour TV & DVD, the Jayco 4-Berth Conquest Motorhome is a truly amazing motorhome for families looking to explore Australia with all the comforts of home. With Premium features such as a slide-out island, queen size bed and spacious ensuite, this motorhome really is the crème de la crème of campers. 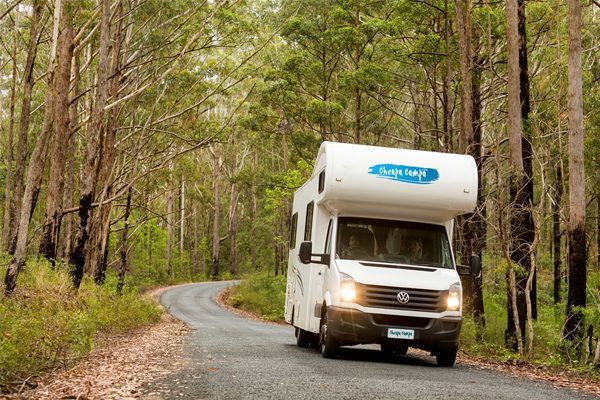 And best of all, as long as you’re driver is 21 or older, you can drive this motorhome with a standard car license..
From leather seats to a Colour TV & DVD, the 6-Berth Conquest Motorhome is a truly amazing motorhome for families looking to explore Australia with all the comforts of home. 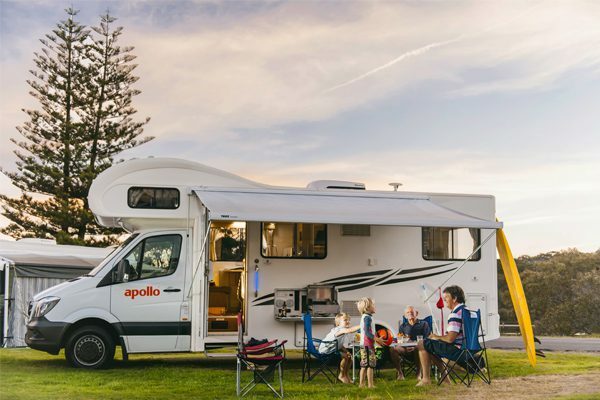 The ultimate family-friendly motorhome, the 4-berth Euro Camper from Apollo Motorhomes is comfortable to live in and navigate Australia. Equipped with plenty of space in the living areas and can be fitted with child booster seats and/or baby seats. 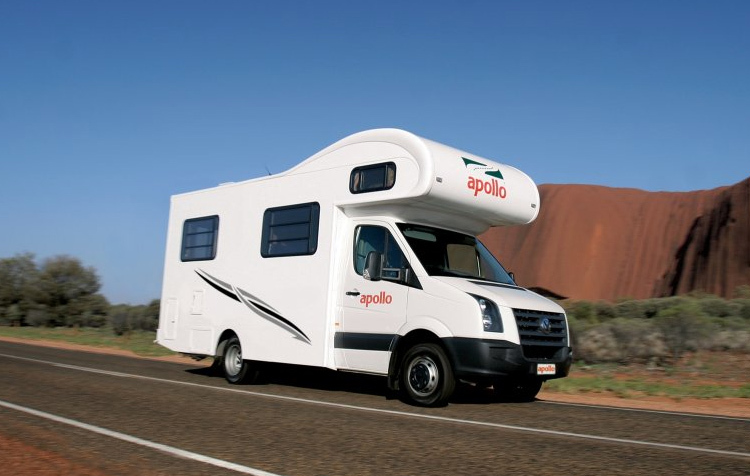 The Apollo Endeavour 4-Seater Campervan is the perfect camper for families of 4. 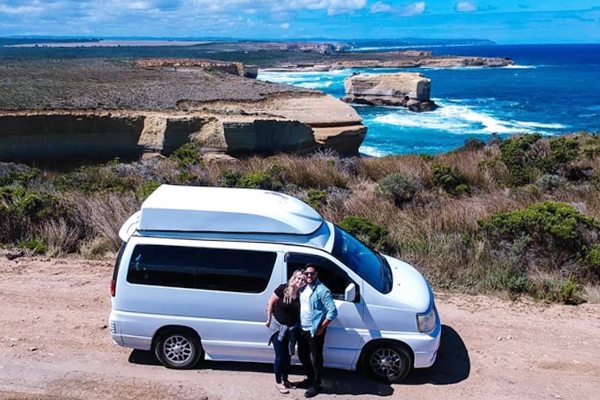 With two double beds and anchor points for up to 2 x baby/booster seats, you’ll love travelling Australia in this compact, yet spacious campervan hire vehicle. 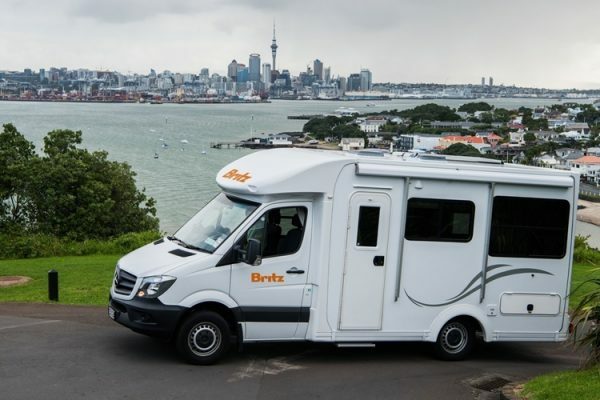 Perfect for smaller families and compact enough to navigate busy city streets, the Britz Voyager 4-Seater Motorhome features easy-to-drive automatic transmission and two comfortable double beds. 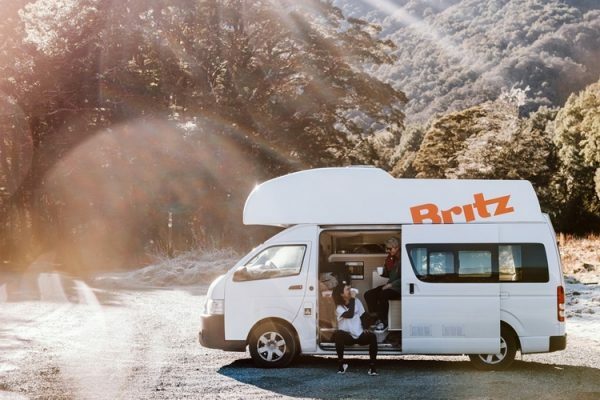 One of the latest additions to Britz’ already excellent fleet of motorhomes, the Britz Discovery Motorhome is designed for groups or families of 4 looking to explore Australia in a modern, reliable and space-saving camper. These motorhomes are only up to 4 years old! 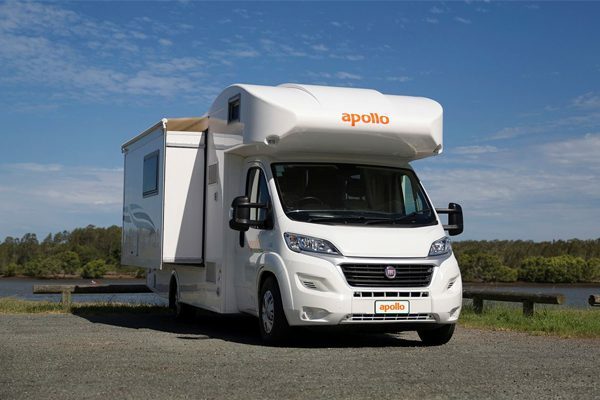 The Apollo Euro Star 4-Seater Motorhome is an innovative 4-sleeper camper with a unique automated bed lift system – developed so you can save as much space as possible during the day. With a modern kitchen, electric flush toilet and plenty of room to move, this is an excellent motorhome for families. 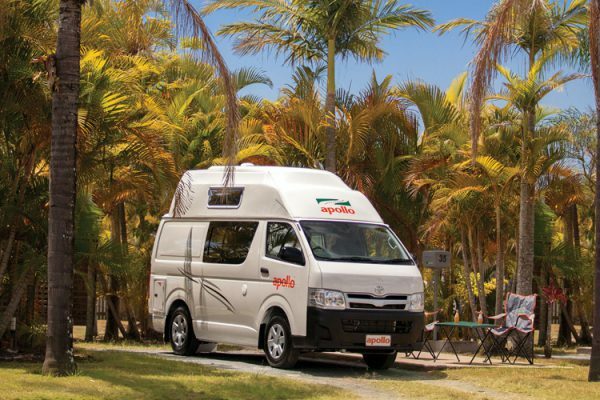 The Apollo Vivid 4-Seater Campervan is a comfortable, economical and reliable home on wheels – with 2 x Double Beds, including an easy-to-operate rooftop tent, you’ll love exploring Australia in this camper. 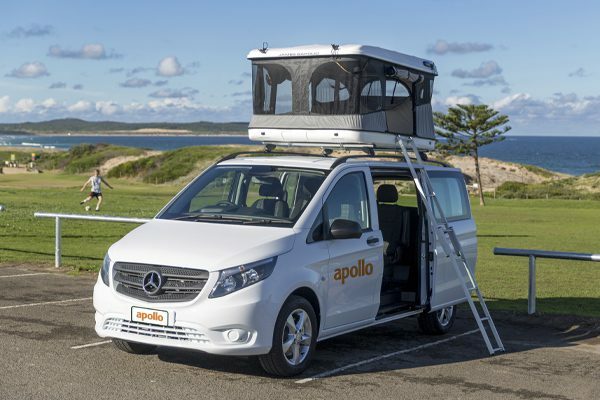 The Apollo Euro Slider 4-Seater Motorhome is Australia’s first ever slide-out motorhome rental vehicle, designed using state-of-the-art 3D Modelling, this slide-out panel creates more space than you could even think possible! 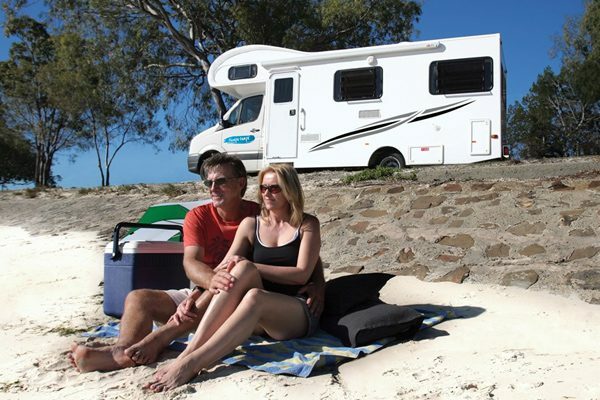 The Cheapa 4-Berth Motorhome is a great budget camper for small groups or couples heading off to see more of Australia. Complete with shower, toilet and generous living space, this motorhome will get you where you need to be without breaking the budget. 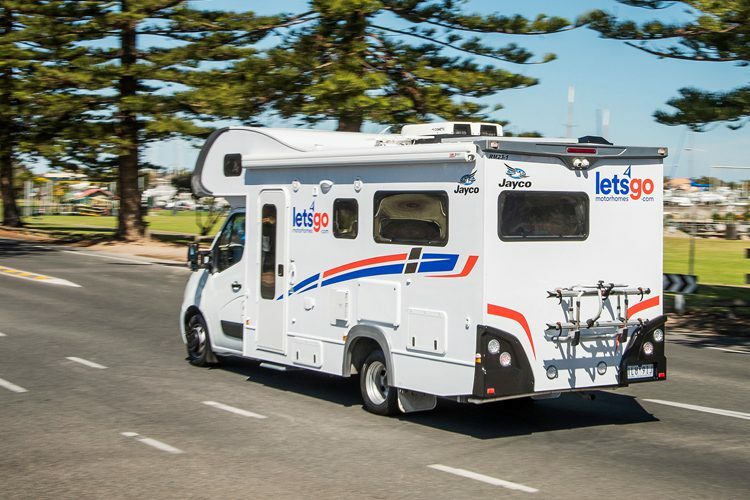 Bring the whole crew along in this amazing budget Cheapa 6-Berth Motorhome! 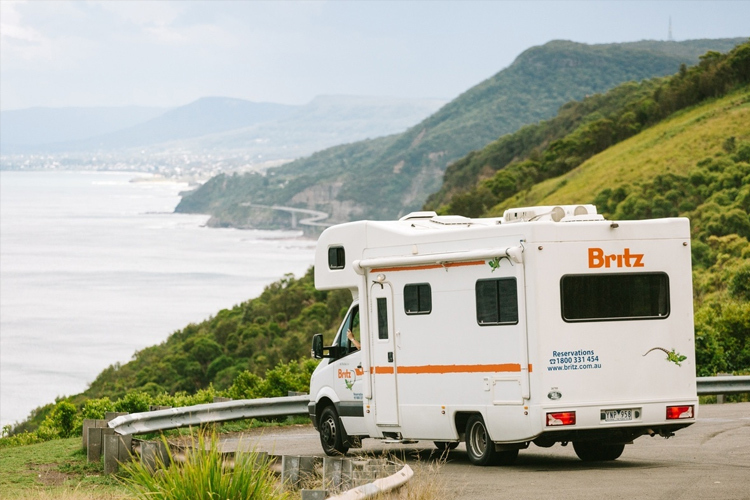 Save $100’s on accommodation, this 6-sleeper motorhome is ready for an exciting and affordable family roadtrip across Australia. 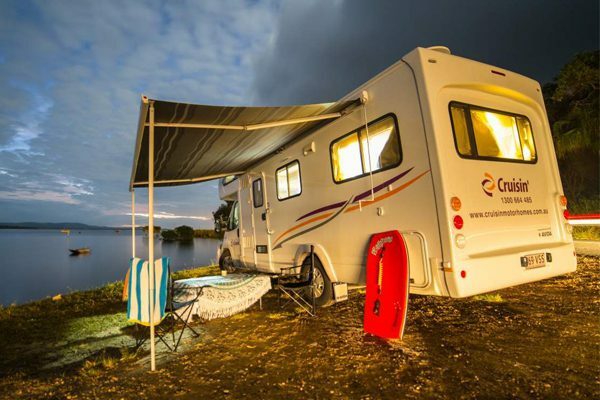 Available in 10 locations around Australia, this rental motorhome comes complete with microwave, fridge, 3 x double beds and of course, shower and toilet! The Cruisin’ 4-Berth Seeker Motorhome is a premium, late-model camper for families or small groups. 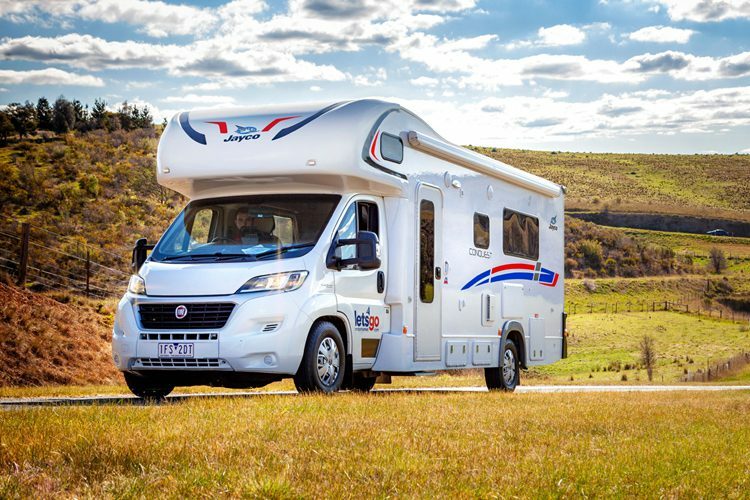 Available across Australia, this incredible motorhome comes complete with a 120L Fridge/Freezer and 2 spacious double beds. 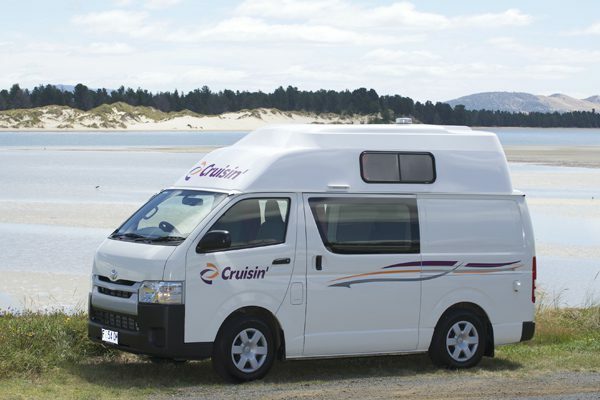 A very practical, reliable Toyota Camper, the Cruisin’ 4-Berth Hi-Top Campervan is perfectly crafted for small groups and families. 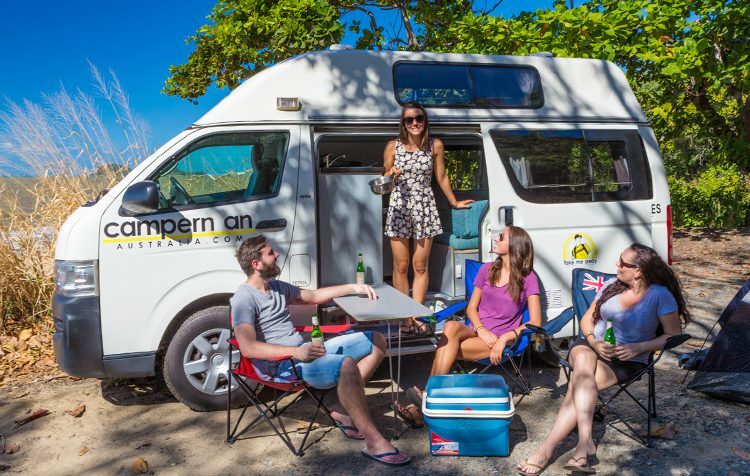 With 2 Double Beds and a surprisingly spacious living area, you’ll love travelling Australia in this compact, yet affordable hitop campervan. 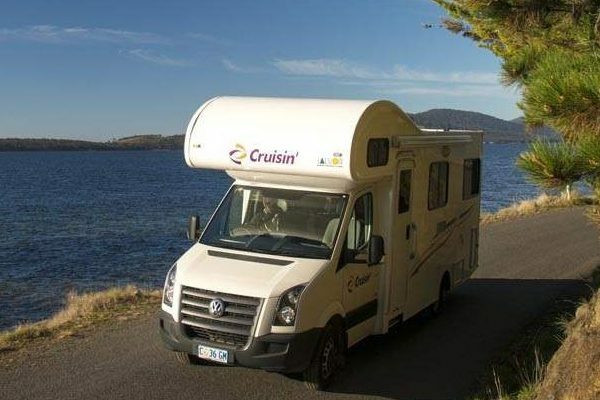 The Cruisin’ 6-Berth Deluxe Motorhome is a high-end, late-model camper available across Australia and perfect for large groups or families with a stretchier budget. If you’ve got the money, this motorhome has got the honey! 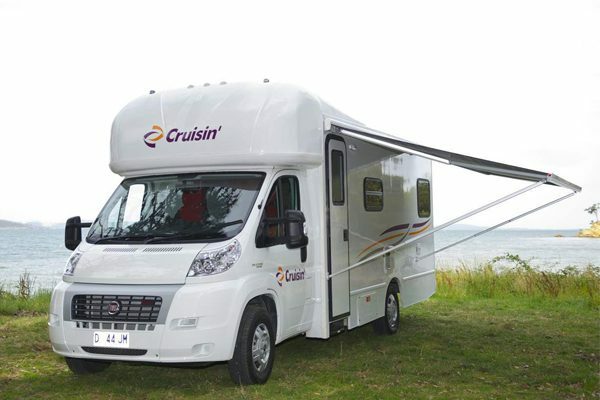 The Cruisin’ 6-Berth Discovery Motorhome is a premium, late-model camper available across Australia and perfect for large groups or families. Never has camping looked so good then in this VW Discovery 6-berth motorhome!